Mix the coconut oil, shredded coconut, honey and stevia and set aside. Break up half the amount of chocolate and melt in the microwave. 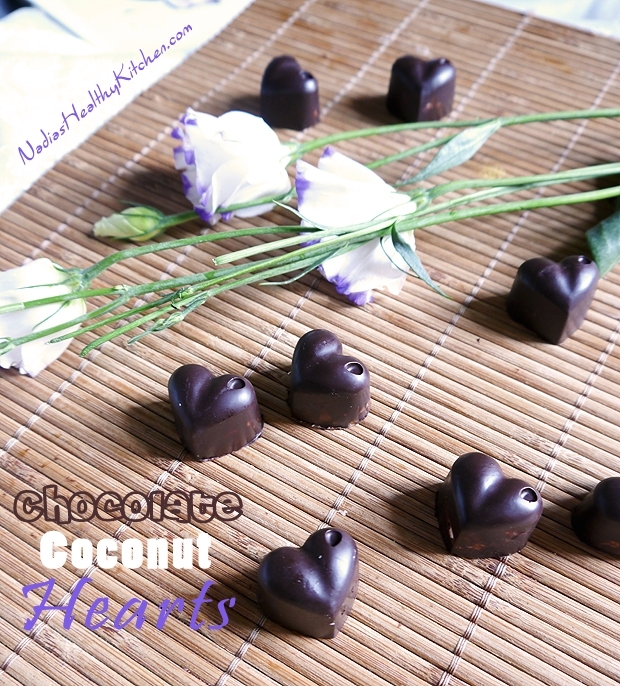 Take the moulds out and start dropping in the coconut mixture. Donâ€™t overfill the hearts as you need some space to add more chocolate to create the base of the heart. Melt the other half of the chocolate and add it to the base of the heart to complete the chocolate shell. Place in the freezer for another 15 minutes or until the chocolate had hardened.